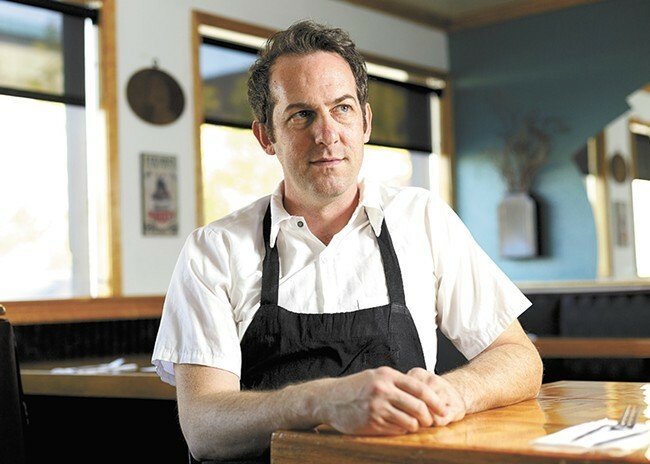 Chef Tony Brown gained a notable following with the debut of Stella's back in 2012. He opened the nearby Ruins in 2014, but now plans to combine the two in Ruins' spot. This Thursday afternoon, we learned the owners of a favorite local lunch spot just north of the Spokane River plan to close their doors a final time on January 31. But fear not, Stella's Cafe fans — owners chef Tony Brown and his parents Steve and Marti Brown plan to reincorporate the cafe's familiar sandwich, soup and pastry options into their nearby sister restaurant, Ruins. A major factor cited for Stella's closure at 917 W. Broadway, where it's been located for the past five years in a rustic and eclectic space, is the end of the restaurant's five-year lease. It's not clear yet how Stella's and Ruins will combine as one in the latter's diminutive space on the corner of Monroe and Mallon, just two blocks away, but the Browns plan to soon announce how they'll meld Stella's fresh sandwich menu with Ruins' cocktails and ever-changing, themed, tapas-style menu. Stay tuned in the coming weeks for an update on Stella's/Ruins new united future in the Inlander's food section, and in our Entrée food newsletter. And for those who will surely miss making a mid-day pitstop at the original Stella's, mark your calendars — the last chance to visit the space is fast approaching, with a final day of business set for Tuesday, Jan. 31. Stella's Cafe offers artisanal vegetarian food to the courthouse crowd.